The successful design and construction of iconic new buildings relies on a range of advanced technologies, in particular on advanced modelling techniques. In response to the increasingly complex buildings demanded by clients and architects, structural engineers have developed a range of sophisticated modelling software to carry out the necessary structural analysis and design work. Advanced Modelling Techniques in Structural Design introduces numerical analysis methods to both students and design practitioners. 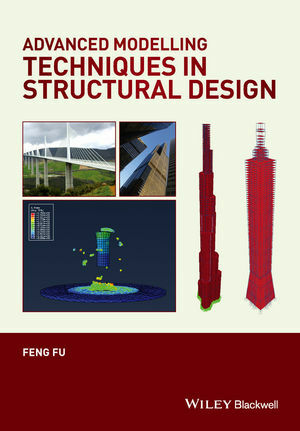 It illustrates the modelling techniques used to solve structural design problems, covering most of the issues that an engineer might face, including lateral stability design of tall buildings; earthquake; progressive collapse; fire, blast and vibration analysis; non-linear geometric analysis and buckling analysis . Resolution of these design problems are demonstrated using a range of prestigious projects around the world, including the Buji Khalifa; Willis Towers; Taipei 101; the Gherkin; Millennium Bridge; Millau viaduct and the Forth Bridge, illustrating the practical steps required to begin a modelling exercise and showing how to select appropriate software tools to address specific design problems. Dr Feng Fu is a Chartered Structural Engineer and Member of the American Society of Civil Engineering. He received his PhD from the University of Leeds and MBA from the University of Manchester, and is currently a Lecturer in Structural Engineering at City University London. Prior to his academic career, he worked for several leading engineering consultants including WSP Group Ltd London, Waterman Group Ltd London and the Beijing Institute of Architectural Design and Research. He has worked with several world-leading architects on the design and analysis of a range of complex and challenging structures, as well as gaining extensive experience in designing buildings under extreme loads such as blast and fire.